I have always thought that each method of quilting, hand, machine & longarm have their own niches and some techniques are better when done by one method or the other. With practice wonderful work can be achieved with each of the methods. 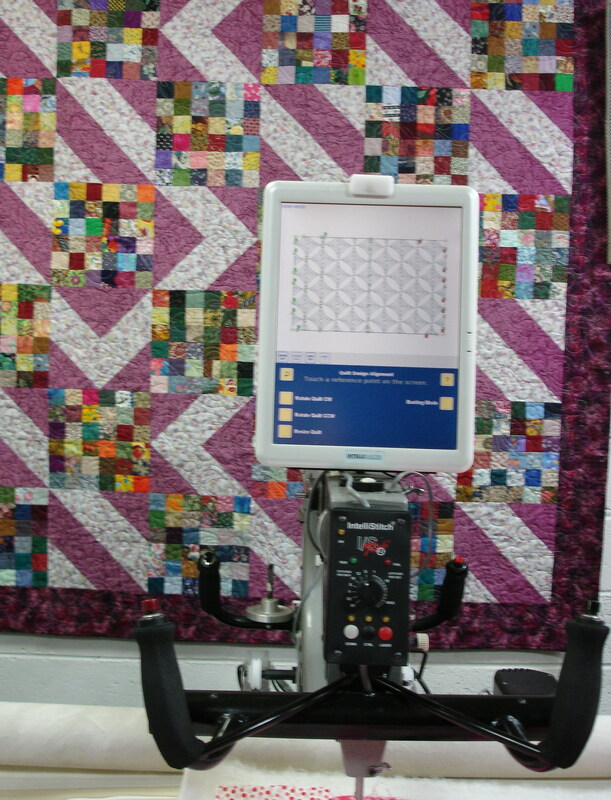 Longarm quilting differs from quilting with a domestic machine in that the longarm method moves the machine over the quilt top and the domestic machine moves the quilt under the needle. This makes any of the freeform methods easily achievable but requires much skill and patience to learn how to stitch straight lines and ditch stitching as the wheels on the machine & carriage can “skitter” off line so easily. When you add a computer controller to the longarm machine you add another level of complication in that the controller will follow your instruction EXACTLY. This means that there is no allowance for fudging on the run to allow for seams that are not perfectly straight or blocks that are not square, as can be done when manually controlling the machine. We are working to add some useful information to this page.